Sky Mountain Golf Course is a public 18-hole golf course owned and operated by the City of Hurricane. 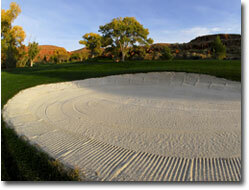 It is located in scenic southern Utah surrounded by Zion National Park and the Pine Valley Mountain range. 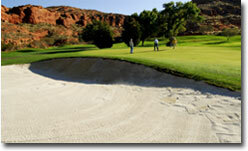 SkyMountain Golf Course is set in one of the most picturesque and beautiful locations anywhere in the world. The 6,383 yard / par 72 course is much more challenging than the yardage would indicate.